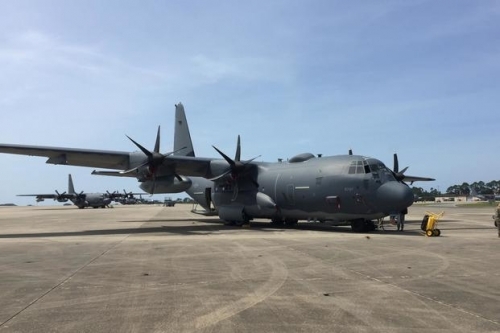 Along with the 105mm cannon the U-models sport, the AC-130J will be equipped with a 30mm cannon "almost like a sniper rifle � it's that precise, it can pretty much hit first shot, first kill," he said. The model achieved initial operational capability in September. The fourth-generation J is slated to replace the AC-130H/U/W models, with delivery of the final J- model sometime in 2021, according to the Air Force. The service plans to buy 32 of the aircraft. "And remember, we're just bringing this thing online. You can't expect to slap this thing together � and have that thing come out perfect," he said. "If you're flying along and your mission is to disable an airplane or a car, like when we took down Noriega back in the day, now as opposed to sending a Navy SEAL team to go disable aircraft on the ground, you make a pass over that thing with an airborne laser, and burn a hole through its engine," he said. "Imagine the efficiency in the parts supply for the maintainers. You can keep less people in harm's way because the people that are going to maintain the systems on [both of] those, they can do it," he said.